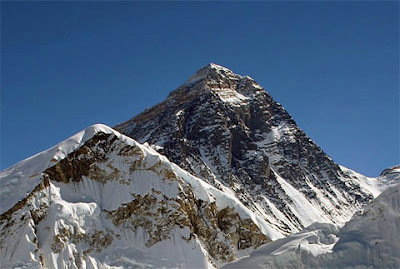 Capman Chess Blog Capman Chess Blog: Bruneian Player will play at Mount Everest. Bruneian Player will play at Mount Everest. Report from chessbase, 8 bruneian chess player will climb and play chess at the world most highest mountain, Everest (5360 metres). They are from BCF ( Brunei Chess federation ) and this project is a part of a charity project to help poor families in Brunie and raise funds for those in need and improve their lives. This project is a His Majesty’s Government’s commitment to improving the welfare and quality of citizens under the national strategic plan Vision 2035. This project expedition on April 23,and expected 16 days of climbing before they reach South Base Camp of Everest.This team member already 1 year trained with each members funding their training and the upcoming expedition themselves. So what is our goverment support in chess?